The Ink Trap: A new challenge at Kraftin' Kimmie Stamps: Stash it UP! A new challenge at Kraftin' Kimmie Stamps: Stash it UP! 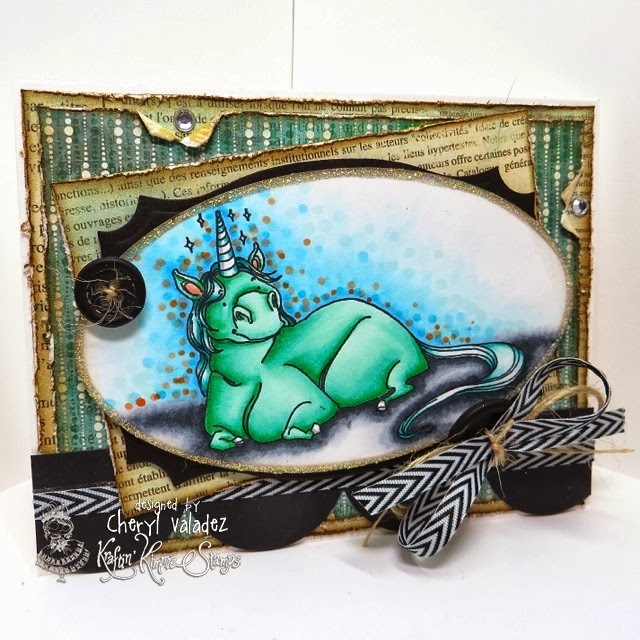 Welcome back for another fabulously FUN challenge at Kraftin’ Kimmie Stamps!! This week our hostess is STEPHANIE!! And her challenge is to Stash It UP!! So create a card, scrapbook page or altered item with a Kraftin’ Kimmie Stamp that uses some leftover stuff in your stash! Have some krafty fun and join us this week because not only can you WIN with us, but there’s something extra special going on!!! Swing by the Kraftin' Kimmie blog and check out all of the details! You won't want to miss a thing! 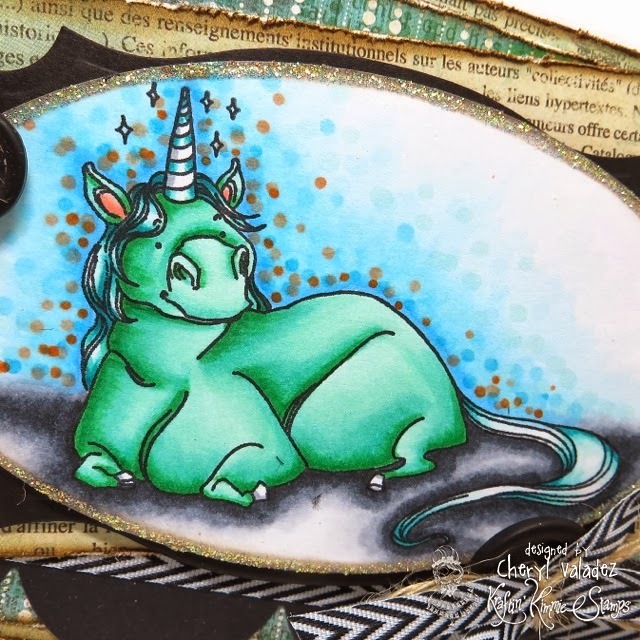 When I started digging around for stuff for this challenge (approximately 2 hours before this card was due), I came across this image of Chubby Unicorn already partially colored. SCORE! I used paper scraps that are eons old and the die cuts have been laying around gathering dust, as well. Magical card, love the color you used, so amazing! Thank you for an inspiration!